A charity is fighting to save a growing number of over-50s who have lost their jobs ‘from the scrap heap&apos;. The Prince&apos;s Initiative for Mature Enterprise (PRIME) is helping thousands of older workers who have lost their jobs in the recession to set up their own businesses. Steven Fifer, the charity&apos;s communications officer, said more people were now turning to it for help. "In terms of our presence in the West Midlands we have seen more and more people come to us," he said. "It might not be reflected in the statistics but we have seen a lot of people coming to us asking for our help." A recent networking event held by the charity at Malmaison hotel in Birmingham saw more than 150 people attend. But that is the tip of the iceberg - PRIME has 3,225 clients registered in the West Midlands. A recent survey conducted by the charity showed 49 per cent of respondents had started a business, 95 per cent said they were still trading and 71 per cent said they wanted to grow their business. "It was a good turnout and shows there is both interest and demand," said Mr Fifer. "We have certainly seen an increase in the number of people in the West Midlands coming to us for help." Birmingham alone currently has around 8,000 unemployed 50 to 64 year olds and PRIME predicts this number is set to rise. There are now 1.87 million over-50s across the UK working for themselves, a figure which has increased by 27 per cent in the past five years and the charity believes self-employment and enterprise is a viable route to keeping the over-50s in employment. Mr Fifer believes losing one&apos;s livelihood can be a devastating blow for anyone over the age of 50, with a fear of not being able to find employment. He also highlighted perceptions the charity is working to counter. "We are producing research papers and hoping to influence government and key decision makers, to challenge myths about older workers," he said. "There are a lot of attitudes about older workers that you&apos;ve had it when you&apos;re over 50. "Prospective employers sometimes don&apos;t like them and think &apos;why would I take them on when they&apos;re only going to be here for a few years?&apos;. "But the over-50s are like a new generation. They are vibrant and still want to work. In addition the retirement age keeps going up so it is unlikely they will retire at 65. "They&apos;re also highly skilled and can bring benefits to a business as a professional and conscientious employee." With its current focus on the Midlands, PRIME is piloting a range of new services aimed at helping over-50s start businesses or get back into regular employment which it then hopes to roll out across the rest of the country. It has an established introduction to self-employment programme, which consists of three workshops run over an eight-week period. But it is now expanding with business support services that move away from the traditional training course concept. They include programmes which are about boosting confidence such as over-50s Rocks events which help people starting out when it comes to setting up their own business. PRIME&apos;s Nicky Templeton, who has been leading the charity&apos;s activities in the region, said: "There is a real entrepreneurial buzz in the West Midlands with our clients going on to start a diverse set of businesses from exotic Arabic scents and children&apos;s clothes to drug rehabilitation support groups." 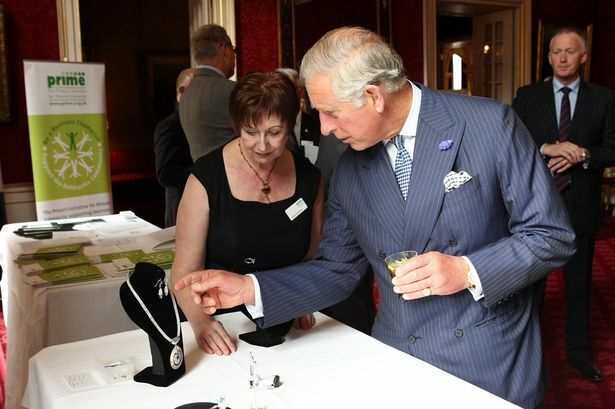 Success stories include Sue Delahaye from Telford, who set up Suzy Kemp Jewellery. Ms Delahaye, aged 60, a former buyer in the artistic and engineering sectors, was made redundant twice. Concluding self-employment was the only viable route, she decided to develop her hobby of jewellery design to start her own business. Phil Brunger, from Worcester, is a 54-year-old serial inventor who designed a multi-dimensional promotional tool that can be used as a bag as well as a flag. He went on to establish BagFlag and has started selling in the UK.